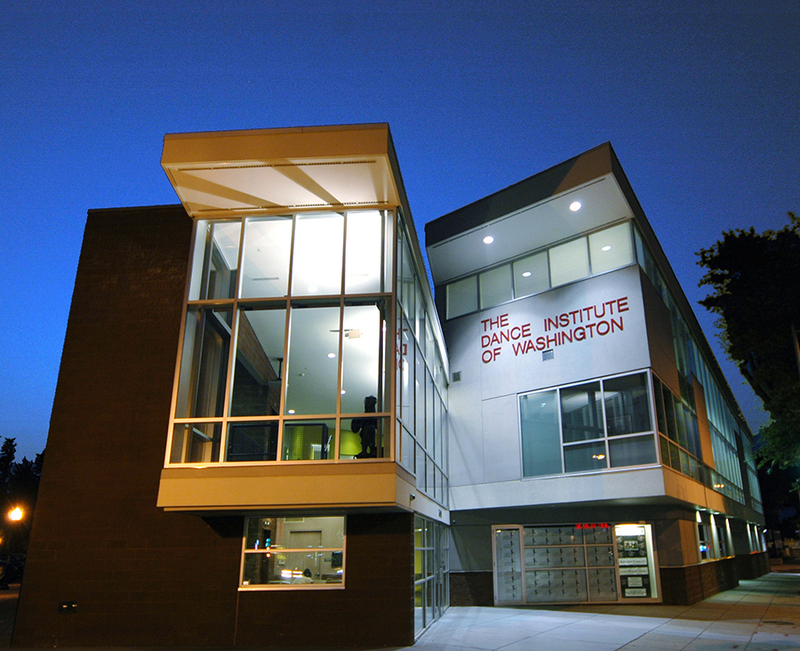 The Dance Institute of Greater Washington's building is a symbol of achievement and energy in the neighborhood. 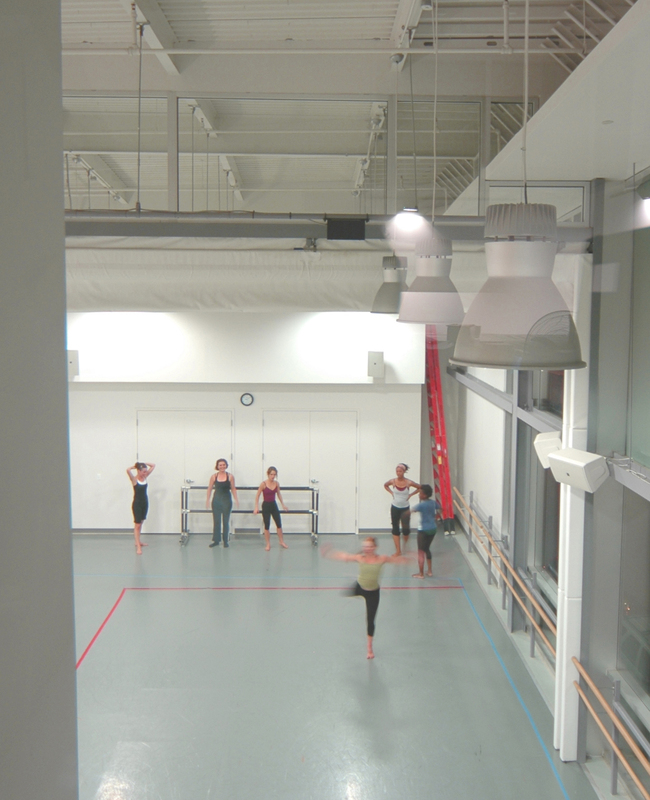 The carefully engineered open space onto the street allows the public to look directly into the dance studios, while an integrated multimedia projection system also displays images of dancers onto refractive surfaces. 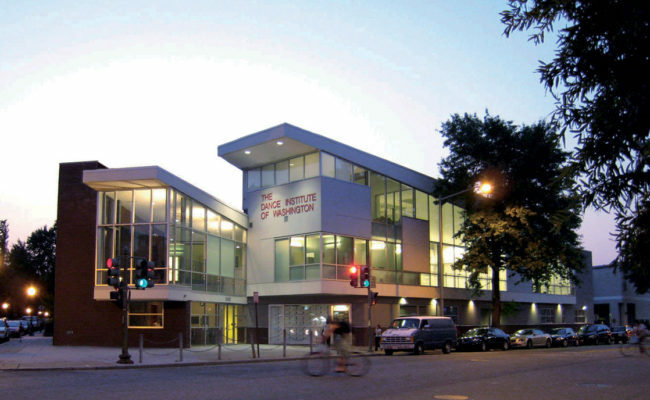 The community-oriented design generates enthusiasm for programs, both for the arts and for children. The DIW energizes the corner, links the street to the cultural and arts centers of the Columbia Heights revitalization, and creates the northern gateway to the neighborhood. 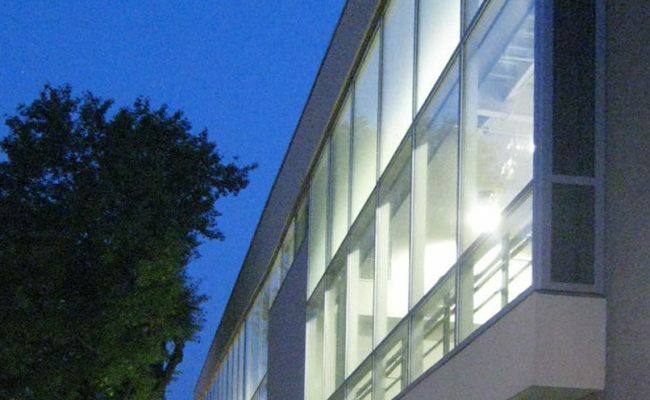 Landscaping includes trees along the sidewalk in front of the building, which activates the facade and contributes to a dynamic streetscape. 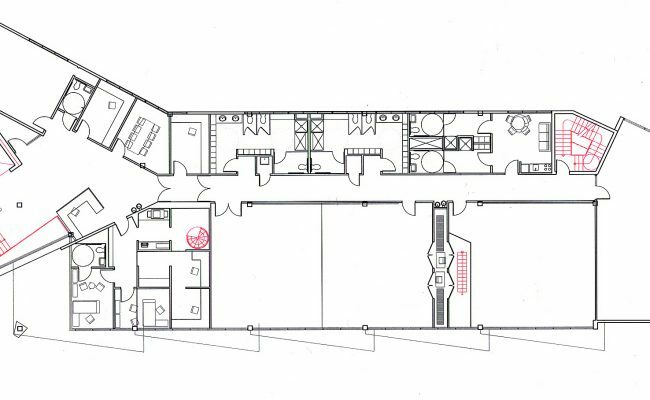 In the back of the building, there is one thousand square feet of contained garden and play space adjacent to the parking area. 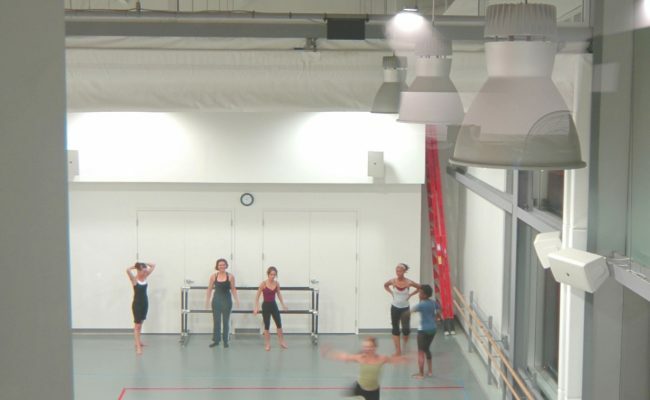 The Dance Institute’s large volumes are three studios in the larger wing, one of which subdivides into two teaching spaces with an operable acoustical curtain. 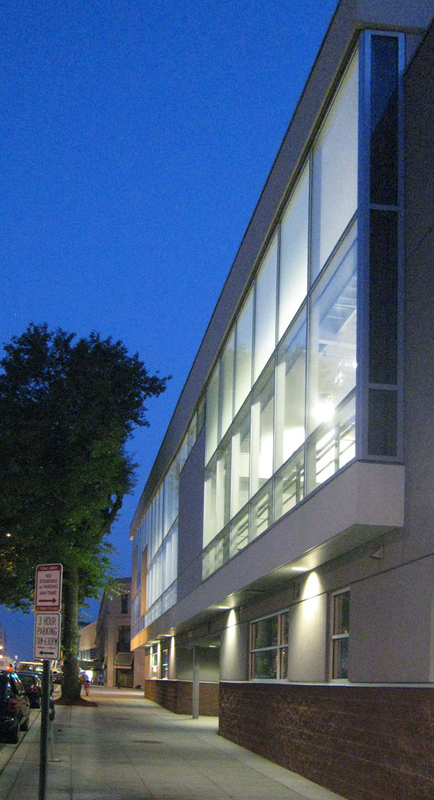 Two studio spaces are visually connected to the public space below, both on 14th Street and the sidewalks, by tall, glazed areas, mixing clear glass with a translucent glass. 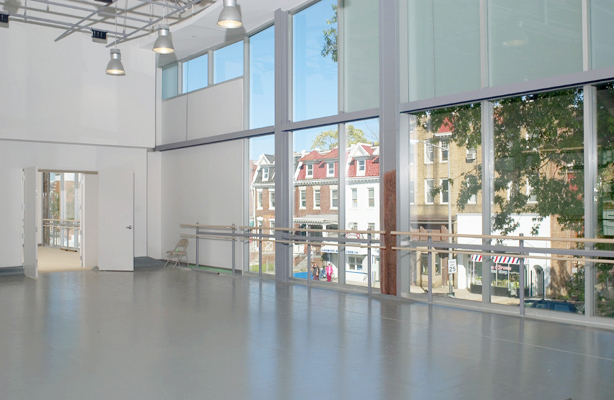 The Artistic Director’s office is at the forward corner, the “prow,” looking over the Dance Plaza between the building’s wings, with other primary offices on the perimeter. 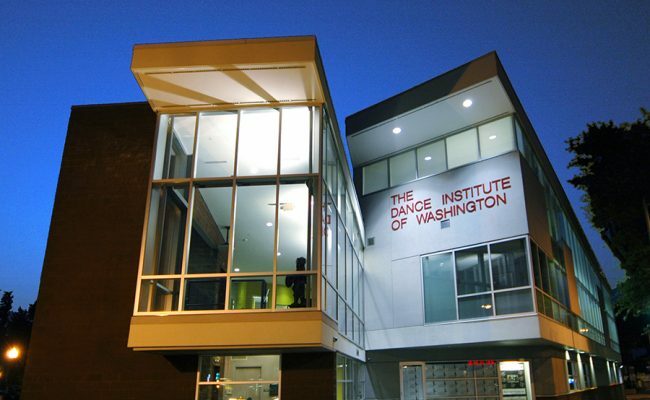 Support space for the professional troupe and a dance supply boutique are below these offices.